With the continuous development of the environmental philosophy of china, the state Greater efforts on the system specifications and production requirements of each major industry that energy consumption has increased granularity, including the enterprises that produce large crusher equipment has more stringent requirements on the equipment environmental index, to meet the development demand of market, and strive to do practical things for users. 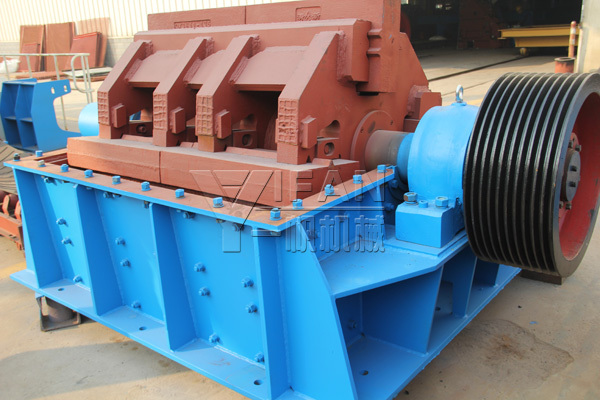 Currently, the domestic R & D and manufacturing of crushing equipment consistent with the calling for global low carbon economy, green world theme is the development trend of the crusher industry. In the driving of new market demands, Zhengzhou Yifan Machinery Company will also closely follow the environment protection and energy development concept; develop large-scale energy-saving crushing machinery and equipment vigorously. The JC hydraulic jaw crusher, HCP hydraulic crusher, SMH hydraulic cone crusher, SMG single-cylinder cone crusher machine, PP mobile crushing plant, construction waste disposal equipment and other equipment developed and manufactured by Zhengzhou Yifan Machinery Company are used hydraulic system, greatly improved the operability and improved the effectiveness of automation equipment, saved a lot of manpower and resources,which plays an active role in the transformation of green technology in mining.